Home / News / Showdown as RUTO’s MPs plan to leave a rotten egg on UHURU’s face as they battle over fuel tax - Is this the end of Jubilee as we know it? Showdown as RUTO’s MPs plan to leave a rotten egg on UHURU’s face as they battle over fuel tax - Is this the end of Jubilee as we know it? Saturday September 15, 2018 - The move by President Uhuru Kenyatta to reject the amended Financial Bill of 2018 that would have shelved the 16% tax on fuel is threatening to split Jubilee right in the middle. 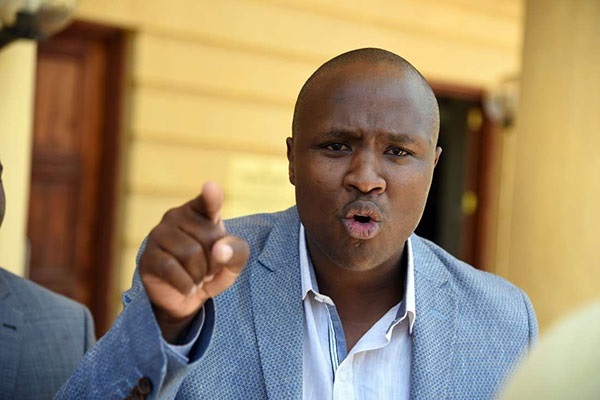 This is after Jubilee legislators led by Nandi Hills MP, Alfred Keter, called for an urgent meeting to discuss the issue. He said the issue of fuel was a national crisis that required a bipartisan approach. "I urge the leadership to convene an informal meeting for us to discuss this matter before it is brought to the plenary," Keter said. Similar sentiments were echoed by ANC Nominated MP, Godfrey Osotsi, who plans to rally fellow MPs to counter Uhuru’s move. He even threatened to draw a list of shame of MPs who will not support him in his quest to do away with the VAT on petroleum products. "No legislator would want to be seen not to side with the people, we will draw a list of shame," declared Osotsi. "Those who will not attend and those who will side with the Government will be paraded for Kenyans to see and know the real enemies of the common mwananchi," he added.